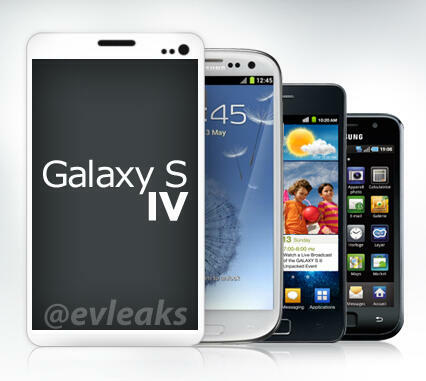 A few minutes ago, our friends over at @evleaks took to his Twitter account to post two images of what could be our first look at the upcoming Samsung Galaxy S4. This Twitter account is known for being fairly spot-on with his leaks and predictions of phones in the past, but the images of this Galaxy S4 look quite different from the earlier Galaxy phones Samsung released in the past. Evleaks is usually pretty spot on with what he finds however, so this could be close to what we will end up seeing on March 14 at the Unpacked event.